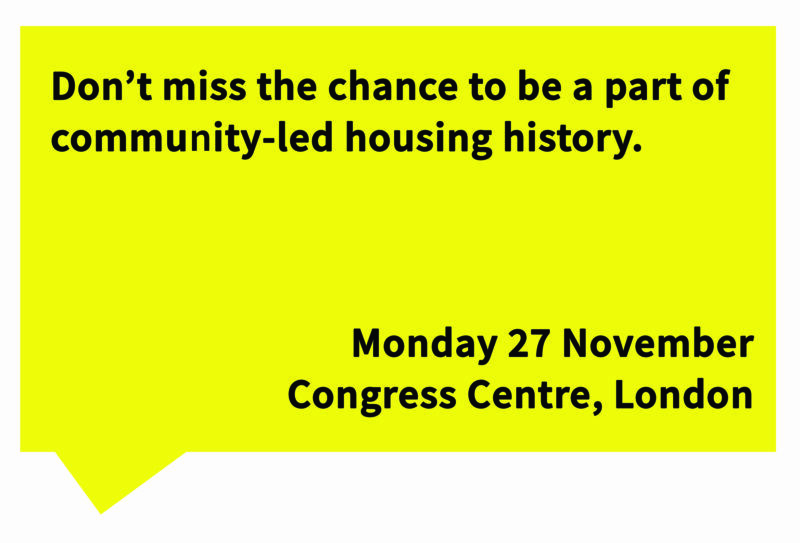 The national Community-Led Housing Conference is just around the corner, and we’re excited to be able to share news on the full agenda and latest speaker announcements. Tom Heap, Countryfile presenter and BBC journalist will be opening this landmark event. You may remember that he covered community-led housing on the programme last year when he visited Christow CLT in the south west. Many other names have also been announced (see below). The pioneering work of councils, city regions and devolved governments, and how others can follow suit. Launch of film of Older Women’s Cohousing (OWCH). Options for early finance including grants, loans, crowdfunding and community share issues. Balancing risk and control, find out the best procurement route for you including partnering with a developer or a housing association. Stewarding and ongoing management of the homes. London Hub networking session and enabler networking session. Visit to the marketplace and ‘ideas board’. Putting the community in housing; why this movement is so special. Options for development finance; innovative practice from out in the field. Finding and buying a site or building; self-build registers, other tools and at-risk finance. Group decision making and engaging the community. Where next for community-led housing? How can we scale up but remain true to our roots? Practical workshop for councils on how you can engage with and support community-led housing. Building new or making good – why not go eco? 2015 National Conference Retrospective: You Said It, We Did It Together!